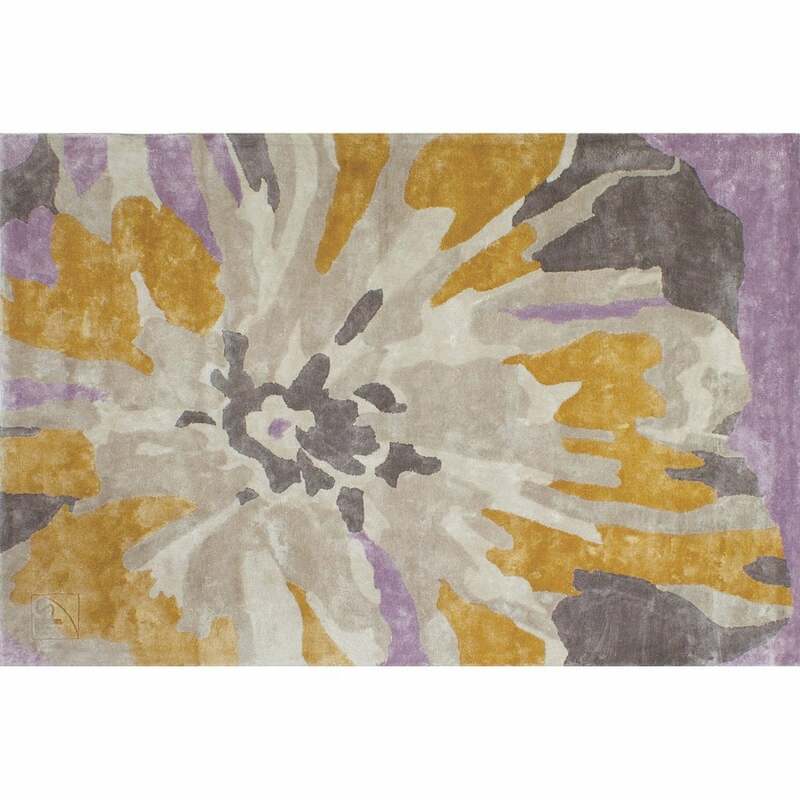 A huge, wonderful flower covers this rug in hues of gold, cream and lilac. Also available in a colourway of reds and peaches. Hand Tufted in 100% Viscose. Other sizes available, please contact us for details.